Thank you for your feedback - we really appreciate working with your company; the professionalism and workmanship always shown by your team is a pleasure. Thank you Leisa! It was a pleasure working with you and we wish you many, many happy years in your new home. 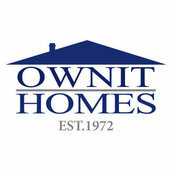 We we're struggling to afford to build our 'forever home' - our dream home, until friends suggested we speak to Kurt at Ownit Homes. Thank you, Kathy. We appreciate the feedback and will definitely pass on the comments to Kurt, Ian and the team. Thanks again! Thank you for the kind words, Michelle! We are enjoying working with you and excited to present the finished product!